I try really hard not to give out 5 stars anymore, just because I want it to really mean something when a five star book does come along. So when I say Winter deserves 5 stars, you know it means I thought it was marvelously spectacular. Winter gives us 800 pages of exactly what lovers of the series want: Cinder leading her rag-tag band of heroes to Luna and inciting revolution, with plenty of sci-fi elements, romance, and witty banter along the way. I never found myself thinking the pace was too slow or that I wanted to move onto to a different point of view (Which, there are many in this book, ranging from Cinder, through all of her companions, all the way to Levana). 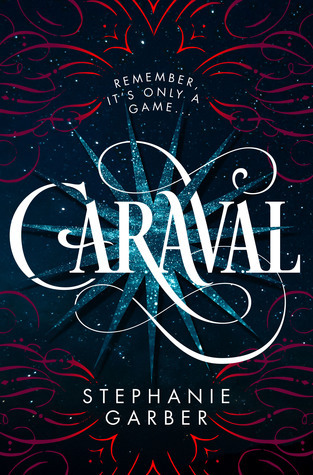 Because we’ve been able to spend time with each character already, it never felt like we were seeing the POV of someone we didn’t really care about (except maybe Levana, although, I didn’t read Fairest before this, and so that may make a difference). If you’re worried there won’t be as much romance in Winter, worry no longer. It certainly doesn’t overshadow the plot (hey, they’ve got things to do!) but it is very present for each couple, with everyone getting some decent time together. Cinder and Kai, Scarlet and Wolf (THE BEST), and Cress and Thorne continue to prove to be very interesting, unique characters and super adorable couples. Each deals with different conflicts, which were marvelous subplots they had to deal with while trying to make the revolution happen on Luna. Jacin and Winter were the new couple in this book, and while I would probably say they are my least favorite of the main couples, that doesn’t mean they weren’t sweet and very interesting. Not to mention that Winter’s Lunar Sickness made her a very interesting character indeed. I honestly have no cons to put forward; I loved absolutely everything about this book. I’m already thinking of when I can read the whole series again. I remember when I first read Cinder and I snorted derisively at the thought of a Cyborg Cinderella, and of course I was SO WRONG because it was SO WONDERFUL and has continued to be so throughout the whole series. If you haven’t read this series yet, I ask you, WHY NOT? Plus, it’s a fairy tale, so it’s likely that everyone gets a happily ever after, right? Winter is filling the categories “A Book with More than 600 Pages” in my Bingo Challenge, and is also a part of the Read My Own Damn Books Challenge, and the March Take Control of Your TBR Pile Challenge. This entry was posted in 5 Stars, Book Reviews and tagged 5 Stars, Action, Dystopia, Fairy Tales, Fantasy, Favorites, Retellings, Romance, Sci-Fi/Dystopia, Series, YA. Ooo… this sounds RIGHT up my alley:). A fab fusion of sci fi and fantasy and somehow it has slipped under my radar! Off to buy CINDER. Thank you for a great review! YAY! Seriously one of my very favorite series. I hope you enjoy it! It’s very rare I enjoy a book as much as I enjoy this series.